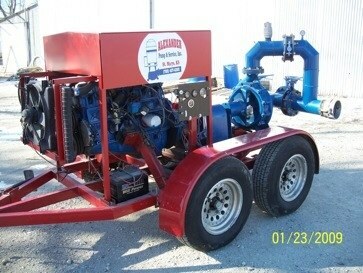 Alexander Pump Service Inc., is a family owned and run business. We believe that through product knowledge and prompt, friendly customer service we will surpass all your expectations. APSI offers a variety of services ranging from pump installation to water well rehabilitation. *While offering full service for all your water well needs, APSI does not drill. Pictured above: APSI’s innovative transfer pump used for backflushing wells.